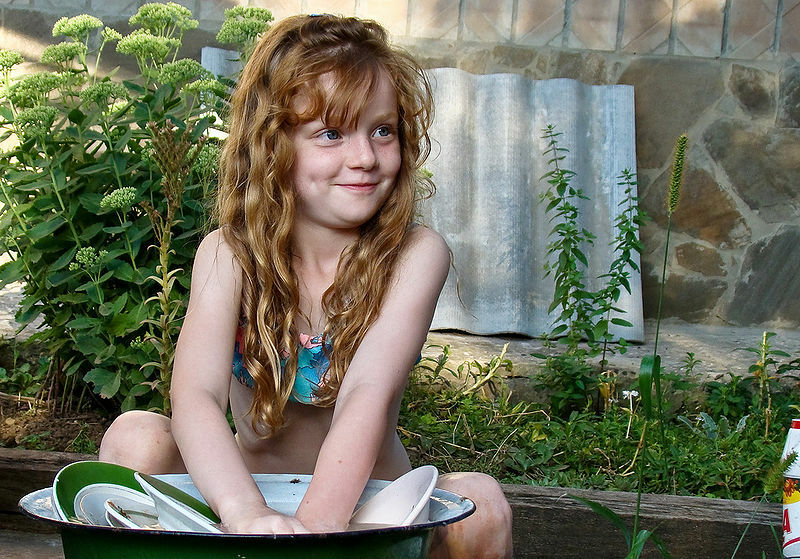 Little Girl Washing Up in Kharkov (2). By Alexey Novitsky, Ukraine. Published April 11, 2014 at 800 × 559 in Presence and being – Part 2	~ Post a comment or leave a trackback: Trackback URL. Many thanks to Alexey Novitsky for this enchanting image of a little girl who clearly enjoys her work! What a cheerful soul! And such cute dimples. Something within tells me, though, that she isn’t really washing dishes: she just has her hands in the bowl. Hmm, well, maybe she’s not the most conscientious of workers. I suppose she might just be Alexey’s little sister posing.